Ryley Reads: OwlCrate Book Mail! 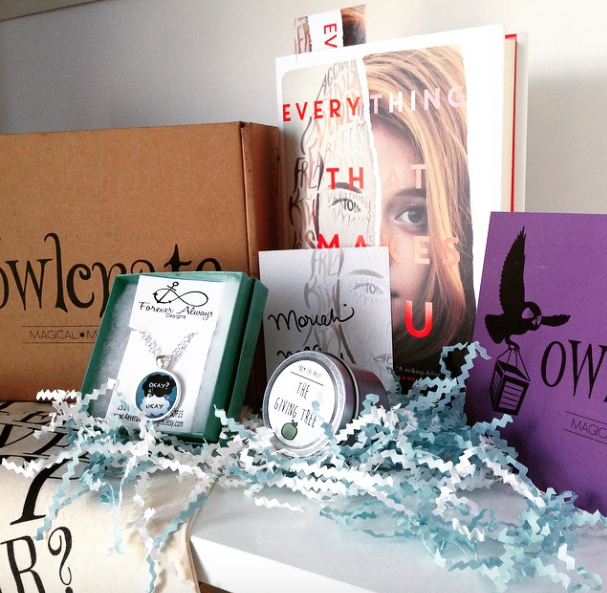 I am so excited to share with you a new young adult subscription box! 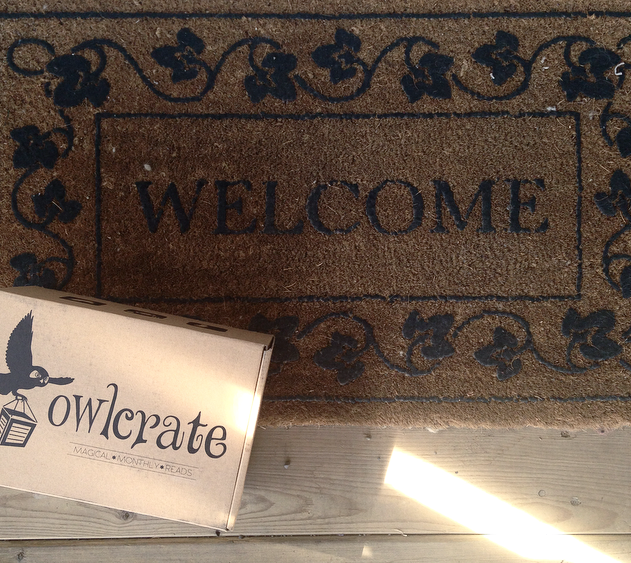 I was lucky enough to get the opportunity to receive an OwlCrate box in exchange for an honest review. Basically, it is a monthly subscription box that includes a new, hardcover YA book and a few thematically related bookish items. Each month has a new theme, April's was "All The Feels." Roughly, the whole box itself is worth over $70, so I think it is totally worth it! Every month, on the 20th, they send out your OwlCrate! Since they are based in Vancouver, Canada, it doesn't take long for the box to get to you, especially if you live in Canada. It took 3 days to get to me. They ship internationally, to the US is $6.99, Canada is $10.59 and elsewhere is $19.99. You can purchase an OwlCrate for $29.99 USD, with discounts for 3 and 6 month plans. If you have any other questions or are interested in signing up for the June box (the May one is sold out!) you can contact OwlCrate through there website here or on Instagram here. Once again, thank you so much to Korrina and Robert for letting me experience this amazing service!